Today Jessica (Confessions of a Bookahlic) and I have shared with you our interview with A Temptation of Angels author Michelle Zink and some of our favorite quotes from the book. Now, we are doing an open discussion of the book where we share some of our thoughts and give readers a chance to join in and link up their review of A Temptation of Angels. A Temptation of Angels has some very strong personalities, what was your first impression of the main characters in the story? I really like Helen immediately because she had amazing strength. I can't imagine going through what she had and it was amazing to see how she carried on. Then of course, there's Griffin who was a very nice surprise. His kindness was exactly what Helen needed and I think he was able to keep her focused on something positive. Raum was a shock for me (in a good way). I was surprised I like him so much. What about you? I loved Helen right from the start also. I think she was incredible and I loved how the further you read the more she found her voice. She wanted to always stand on her own two feet when she could have let others take care of her. I loved that about her. And Griffin was such a support to her when she needed it most. She was able to open up to him when with everyone else she felt she needed to be stronger then she might have been. I liked that with Griffin we were able to see a softer side to her after all she's been through. And then Raum... wow, I can't wait to read more about him. Such a mystery. I wanted more of him in the story. Let's just say that when he appeared in the story I was a tad thrilled. Yeah, I was so excited when Michelle said that we would be seeing more of him! I really want to read more of this story. I don't get to read a lot of books with that setting, or time period, so it was a nice change. But now I just need MORE! Speaking of setting and time period, Michelle did a wonderful job of both, don't you think? What was your favorite part of both? I remember reading Prophecy of the Sisters, Michelle's other series, and just being blown away by her writing. She really has a knack for writing some brilliant descriptions. It always flows so well and you can really visualize the setting. I loved how dark and spooky she made the streets. I also loved how you could really get the "historical" feeling when hearing about Helen's surroundings and even what she wore. The descriptions were brilliant! I could visualize the streets and even the light and dark. It was easy to imagine what could or might be lurking in both places and for an author to make the light creepy... wow. HUGE props to her! I really had such an easy time with the time period due to the flow of writing and how I was so drawn into the story. Period pieces usually are hard for me to read, I can sometimes get bored easily, but not with Michelle's writing. True. I think that's why I normally shy away from historical settings. Michelle mentioned that the next novel will be companion to this one. Are you sad that it isn't a sequel? Really, I'm not sad, because she hinted that Raum's story isn't over and since I was most intrigued by him, I'm hoping that the next book he's a much larger part of the story? I'm excited to see what the companion book is all about. Are you? Same. I honestly thought there would be a sequel so I was a little sad that the story would be changing next time, but I'm super excited to see what she does with this. And, to see more of Raum. I know his story is far from over but I do hope we get to see more of the characters from this book as well. I'd really miss Helen! She's a great character. 1 winner will receive an ARC of A Temptation of Angels by Michelle Zink. Contest is US Only and ends May 14th. 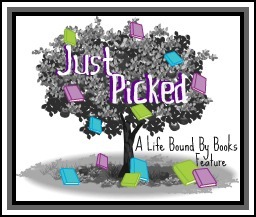 April's author and book have been a fantastic pick! Jessica (Confessions of a Bookaholic) and I have been excited to share this interview and quotes with you. So, lets get right to it! 1. Was A Temptation of Angels more, or less, difficult than writing Prophecy of the Sisters? Honestly, it was just... different. With Prophecy, I had a three-book story arc. Pacing that correctly was always at the forefront of my mind, because I wanted the series to get better and better rather than peter out toward the end. But writing Temptation as a stand-alone was also a challenge, because I had to tell the whole story in one book when my inclination is always to dig deeper. Both stories have heavy psychological undertones, though, and getting that right is always a challenge. 2. Could you share with us one thing about the main characters from A Temptation of Angels that we don’t know but should? While Helen comes to love one man by the end of the book, she values her independence and has no intention of marrying and living a traditional life at the close of TEMPTATION. Griffin is every bit as strong as Darius but defers to his older brother because he knows Darius needs the illusion of control to feel safe. Raum's story is far from over.... Dun-dun-DUHN! 3. Since A Temptation of Angels is set in historic London, I’d suspect that research was one of the more interesting – if not highly entertaining – aspects behind writing this book. What was the most fascinating thing you found during your research that you just KNEW you had to include in the book? There really wasn't anything. The historical research in my stories so far has always taken a back seat to the story itself. In fact, I remain surprised when anyone refers to my work as historical fiction, because I see my books as fantasies that happen to be set in the past rather then historical fiction. I don't know how to clarify the differences, except to say that for me, the story and unique world of that story always comes first. I never want that to be bogged down by too much historical detail. 4. I love everything about England. Do you have a favorite place you’ve had a chance to visit while there? And is there one placing in the UK you have yet to see and are most excited to visit one day? Believe it or not, I've never actually been. As a single mother to four teenagers, the luxury of in-person research is often lost to me. I have to read a lot, talk to lots of people, and use GoogleEarth quite often! My first stop in England would be the henges, though, starting with Avebury since it plays such a prominent part in the Prophecy series. 5. There are a few handsome males in this book. Can you give us 3 words that you would use to describe each one? Darius - sarcastic, protective, harsh. Griffin - kind, strong, loyal. Raum - conflicted, independent, lonely. 6. What was both the easiest and hardest part in writing A Temptation of Angels? The easiest was setting and era. Writing Gothic fiction is second-nature for me.There is nothing I love writing more than flickering candles, lamplight, creaking floors, and shadowed streets. The hardest part was developing the unique weaponry and mode of travel. I wanted the Keepers to have their own set of tools and wanted to give the world an edgy, Gothic James Bond atmosphere. But that required the invention of several new things. It was a fun challenge, though! I enjoyed pushing myself to create this Gothic/Thriller/Steampunk hybrid. "I'm not very good with anything physical..." she began as they turned down a hallway she had never seen. He flashed her a grin while they walked. "I find that hard to believe." His muscled back rippled as he reached blindly for a towel on the washstand. She felt something inside her shake loose and expand, spreading like a hot wind through her veins as he stood, his broad shoulders and back fully revealed in the glow of the fire. At first, his lips lingered gently on hers. She wasn't sure what to do. What came next. But it didn't matter. Even this was enough, and she stood as still as she could, not wanting the moment to end. Wanting his mouth on hers forever. The the passion between them erupted, and all at once, his mouth opened on hers and she fell into the warmth of this kiss. She entered the ruined parlor, and for a moment, it was just as it was. There was Father with his paper, grumbling about the state of affairs. Mother was at the piano, playing so beautifully it made Helen's heart ache. She turned in a circle, taking it all in. Remembering. Was it really as simple as that? Could she give herself the benediction of forgiveness that she had given Raum? She didn't know the answer. But as she leaned on tiptoe to kiss Raum's cheek, she knew she would try. She would try to remember the girl from the garden and her friend Raum. Their innocence and kindness to one another in the giving of small trinkets and simple friendship. She would remember it all and grant that love and acceptance to those around her. And maybe, just maybe, to herself. "It's all right." Griffin's voice came from her right, and she flinched at the feel of his hand on hers. "Trust me." "Don't mind him." Griffin followed his brother with Helen in tow. "You'll get used to it." "Your eyes... I've only seen color like that once before, but... it cannot be." Something feel from his hand with a clatter as he backed away, into the shadows, shaking his head. Synopsis: Based on the simple concept of dreaming big, "An Awesome Book" is the inspiring debut work of Los Angeles writer/artist Clayton. Full color. Review: 4 Stars - An Awesome Book by author, illustrator Dallas Clayton shares such an important message for readers of all ages. The message is pretty simple, yet executed brilliantly and it’s important – Never stop dreaming, dream big and that no matter your age, dreams can still come true. See, fantastic, right? 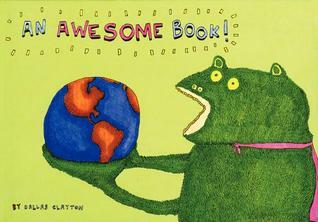 This book might be little, yet it’s mighty in telling the story to a child that you should never give up on your dreams. I know as we get older our dreams get lost along the way or pushed aside, yet this book reminds us all that we need to take time to dream and to never give up on them. The illustrations were perfect and following along with the simplicity of the theme. I liked how they were big and small and was such a verity of fantastic and mesmerizing ideas. All in all, this would be the perfect coffee table book, or book great for right before bed. 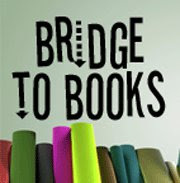 The message is set to bridge the gap between ages young and old. I thoroughly enjoyed the book and am happy to add it to my collection to my nieces and nephews. Recommended to readers or book lovers of all ages. #TeamAmity Day Is HERE!! Help Support the Peaceful Faction! Show YOUR love for Amity Today!! Today is a big day for #TeamAmity! 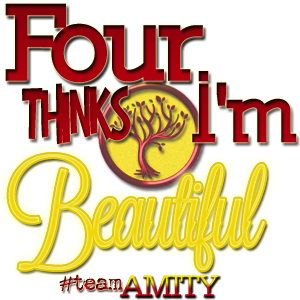 It's #TEAMAMITY Day!! On the Divergent Facebook Page and Veronica Roth's Blog is ALL about Amity! Be sure to check out both sites, and lets all rally around #TeamAmity! We might be peaceful but we sure do know how to throw a party! Don't forget to click & show your support for #TeamAmity Faction > http://bit.ly/amityfaction & http://bit.ly/choose_amity links DAILY! Each and EVERY ONE of your clicks COUNT!!! So, please be sure that you keep those clicks coming!!! Let's all rally around and bring #TeamAmity to the top! Our Faction still has MANY amazing giveaways going on right now. Take a look below and visit each blog and ENTER TO WIN! Many chances, and some give you an opportunity to get ADDITIONAL ENTRIES DAILY!! Team Amity - Massive, Epic Group Giveaway!! Hippies, Beauty, and Books - Insurgent ARC Giveaway!! Hippies, Beauty, and Books - 1 Year Blogoversary Giveaway!! All Things Urban Fantasy - Insurgent Cover Recreate Contest!! Emily’s Reading Room - Dystopian Prize Pack Giveaway!! Squeaky Books - Insurgent Pre-Order Giveaway!! 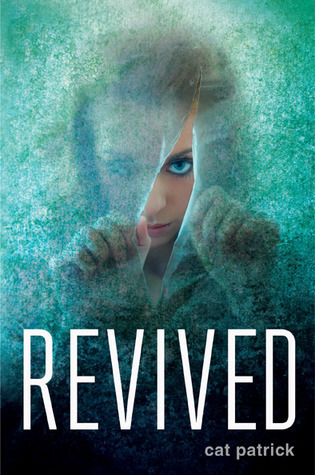 Better Read Than Dead - Insurgent Giveaway!! Better Read Than Dead - Divergent Casting Giveaway!! I Swim For Oceans - Insurgent ARC Giveaway!! And here, at A Life Bound By Books - UK Insurgent & Divergent Prize Pack Giveaway!! From: won from Lisa, gifted & purchased from Amazon. Synopsis: Frannie Cavanaugh is a good Catholic girl with a bit of a wicked streak. She has spent years keeping everyone at a distance---even her closest friends---and it seems as if her senior year is going to be more of the same . . . until Luc Cain enrolls in her class. No one knows where he came from, but Frannie can’t seem to stay away from him. 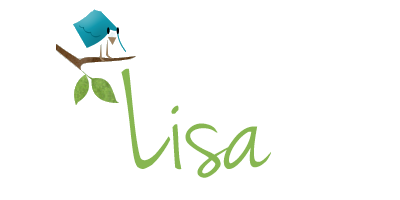 Review: 4 Stars - Personal Demons, the first book in the trilogy with the same name by author Lisa Desrochers was just the book I was looking for and then some. Alternating points of view, good vs. evil, a bad boy and a good guy… Yep, just what I was looking for. Frannie is the female protagonist in this title. She’s your average teen girl in high school. However, that quickly changes with the arrival of two guys. First there’s Luc, the ultimate bad boy x 10. He’s dark, mysterious, bad boy through and through. The two points of view throughout the book are between Frannie and Luc and as I’ve mentioned in previous reviews I love points of view from different characters while reading. It always gives me such a richer and more rounded story when you get to see things from two different personalities especially when it’s a girl and a guy. Then we have Gabe, the good guy – through and through. He wants nothing more than to keep Frannie safe from those around her (mostly Luc ) and from herself. The book tells of how people or more so, their souls are ‘tagged’ for Heaven or Hell. It’s all about temptations and choices that happen throughout your life that bring you to the attention of one side or another. At some point in your life you get tagged for either Heaven or Hell and once that’s done there’s no going back. You are then truly stuck with the choices you’ve made in life. You just don’t know it until you pass on to either side. So, both of these guys are sent to try to ‘win’ Frannie’s soul. They have rules they must follow, but in the end only one can tag her. Desrochers sure does know how to write a swoonable bad boy! I mean Gabe’s not bad, but I tend to fall for quality bad boys, so Luc had me right from the start. All in all, I was really impressed by the writing and the characters. I found the twists and turns to be thrilling and the ending more than I could have imagined. This is a fantastic start to the series and I’m looking forward to more from Desrochers in the future. She’s defiantly an author to be on the look-out for in the future. A worth wile read, without a doubt. Synopsis: Taylor’s family might not be the closest-knit – everyone is a little too busy and overscheduled – but for the most part, they get along fine. Then they get news that changes everything: Her father has pancreatic cancer, and it’s stage four – meaning that there is basically nothing to be done. Her parents decide that the family will spend his last months together at their old summerhouse in the Pocono Mountains. Another three titles that I just can't wait for! Pushing the Limits looks amazing and perfect for fans who love a good bad boy. Who doesn't? 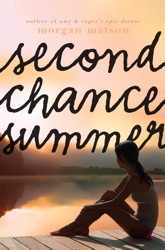 Second chance summer sounds like an emotion read that'll have readers feeling a whole range of emotions and then I've picked Revived to round out the week. I LOVED Cat's previous book - Forgotten - and I can't wait to get my hands on something else she's written. So, what do you guys think of this weeks picks? *covers are subject to change. 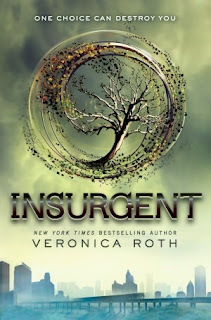 Review: 5 Stars - Insurgent, the second book in the Divergent Trilogy by none other than author Veronica Roth is in a word, stunning! 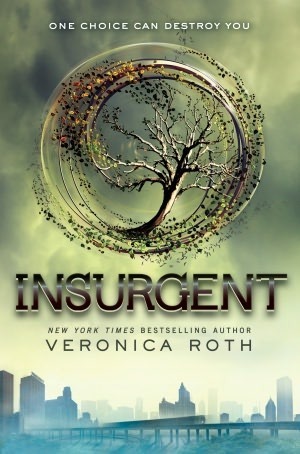 With the same emotion, characters, dynamic world Roth set the bar high with Divergent and surpassed it with ease in Insurgent. I’ve been struggling to write this review for awhile now. For lack of the proper words needed to express (again) how amazing this trilogy is. Without giving too much away, because I’m not one who enjoys spoilers, I’ll try to do Roth and Insurgent the justice the author and book deserve. After reading Divergent, which was hands down the best book I read in 2011, I knew that Roth had a hit on her hands. I kicked myself that I didn’t read it sooner and didn’t know how I’d survive the wait until the second book was released. I’m far from the only person who felt this way. There are many of us in the Divergent Nation and are proud members of the group. We’ve held our breath and fought right alongside Tris, we’ve pined for Four and we’ve wanted to be part of the Dauntless faction… or one of the other factions from the first page. The book was visually stunning to my imagination and I just couldn’t wait to see what was about to happen next. There’s no way not to see while you’re reading Insurgent that Roth has some epic plans in store for her characters. She’s brought through some pretty dark times and with some of the shocking revelations in this second book, it’s pretty amazing, at least to me that what was such a perfect first book could continue right through to the second book and never let up, one bit. How Roth manages to do this making her a Rock Star in the YA genre. Insurgent was just as stunning to my imagination as it was to Divergent. Roth had me from the first page. I was a goner. I was lost. I was fascinated. Just a great book should do to the reader. Some things I really loved about Insurgent are – getting a chance to understand and meet some members from the other factions. In Divergent there was some, but in Insurgent it gives you a better idea into the world and life within some of the other factions such as Amity and also the factionless. Tris and Four are the same, yet changed from things they had to face in Divergent. There were a few things I was frustrated about with these two. And that’s all I’ll say there. You guys can read it in a few days and see if you felt the frustration that I did. The good thing, the frustration I felt didn’t bother me much because it fell to the wayside easily and wasn’t distracting from the story in the slightest. I think one of the huge key elements that I love about this trilogy so much… besides the beautiful writing and characters is that these teens, because that’s what Tris and Four are, make some really massive life changing decisions right from the start. And throughout both books they have to make some of these decisions for the greater good of a huge group of people. They don’t think of just themselves. I mean being a true member of Abnegation and all, they are always selfless, but for teens to deal with what they do is pretty amazing to read about. Talk about two amazing strong characters. Roth is hands down one of my favorite YA authors. Her story and characters are often on my mind. I have suggested this series to more people that I know. I’ve purchased and given Divergent to many people as gifts, which I will continue to do. I’m a huge fan and will read anything she writes. No question about it. All in all, if you haven’t read Divergent, I have no idea why and will say that you are missing out on something huge, something thrilling and something you’ll be kicking yourself over for not reading sooner. And in a few days when Insurgent is finally out on the shelves of a bookstore near you, you’ll be able to read both back to back and be right there with me and the many others out there who are now sitting on pins and needles until the third and final book in this breathtaking series finally finds our way to us. There is no way that I won’t be rereading this trilogy time and time again. I know you will be too. 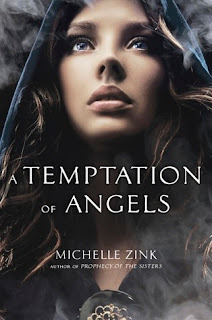 Review: 4 Stars - A Temptation of Angels by Michelle Zink is a mysterious story interlaced with secrets and Angels. It’s a thrilling story of good vs. evil with romance and so much more! Helen has always had a full life. With two loving, dotting parents she’s happier than ever. Until one night it all changes faster then she could have ever imagined. Forced by her mother to hide in a hidden passage in a wall of her family home, Helen has only a small hand full of her belongings, a few words from her mother and then names of two brothers and their address when she’s told to run. One thing about Helen that I loved was her adaptability, which came so naturally with great thanks to her father. He taught her from when she was very young, via games things that her parents would know she’d need someday in later life. It’s just too bad that she’s needing these tools sooner rather than later. Sadly she doesn’t know anything that’s going on around her. Her life has turned into a mystery that she has to figure out all while trying to survive. 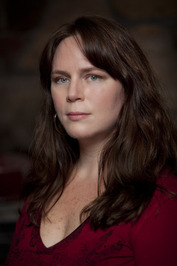 Helen’s voice throughout the story created a perfect balance to the main male characters throughout the story. She was the softer side of things, always giving a different way to thinking about the various situations she faces throughout the book. She’s also pretty tough even when she doesn’t think she is. She always finds what she needs inside of her to figure things out and do what she needs to in order to help keep her and the brothers alive. Speaking of the brothers… let’s talk about Darius and Griffin for a bit. Darius is the older brother who’s rough and keeps people at a distance. I totally understand why he’s not the nicest and at best stand offish. They all have reason to be after what they’ve been through. I thought for sure something more would happen with Darius, I just had that feeling while I was reading that there would be some major that happened, yet it didn’t. I really liked his characters’ the most out of all the boys within the story and I think I’ll just chalk it up to the fact that I tend to fall for the bad guy in the book. Then there’s Griffin who’s the nice guy of the two brothers. He has no problem extending his hand to Helen and befriending her. He understands where she’s coming from and doesn’t want her to feel alone. I enjoyed the story and watching it unfold between these two, yet there were times that I questioned if things were really meant to progress further than friendship. There was a bit of a love triangle that happened, yet it wasn’t, in my opinion a full blown one. The other guy in the triangle was just so interesting and a whole other layer to the story. I really hope that in the next installment we get a chance to see this mysterious character more. I can’t forget to give Zink props for her writing skills and imagination, which not only keep the reader entertained but also engulfed in the story and invested in her characters. In a story built on secrets and the world unknowingly at stake it’s up to Helen and the brothers to figure out how to survive. All in all, I was thrilled with my first experience in reading a book by Zink. I’m looking forward to reading her Prophecy of the Sisters trilogy and also to see what happens next in Zinks London of old and her story of Angels and Demons. Pick this one up and read it soon! FTC Disclaimer: I did NOT pay for this book, it was won in a giveaway provided by the author - nor have I been compensated at all in any way or means for reading and writing this HONEST review.